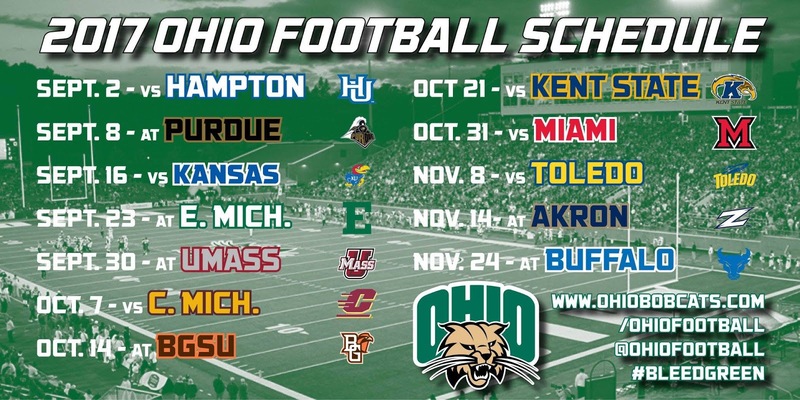 Your OHIO Bobcats have 17 starters returning from the team that won the Mid-American Conference East Division Title and went to the 2016 MAC Championship before taking on Troy in the 2016 Dollar General Bowl. 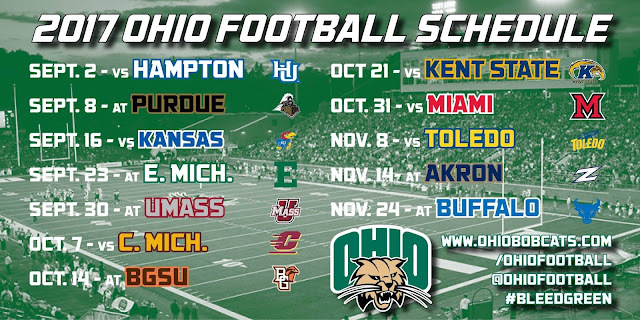 The Bobcats were once again picked to finish atop the MAC East in the 2017 preseason media poll. And, you can't think of OU football without thinking about the Most Exciting Band in the Land .... So, here's a little taste of the Marching 110 to get you pumped up!